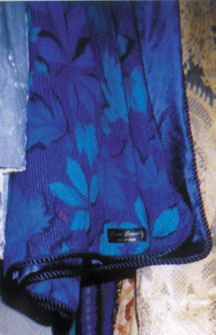 The Blue Foliage lap robe has a design of large leaves in beautiful, irridescent blue tones. Click on the Contact Us link to see the Camelot lap robe in royal blue decorated with gold leaves. 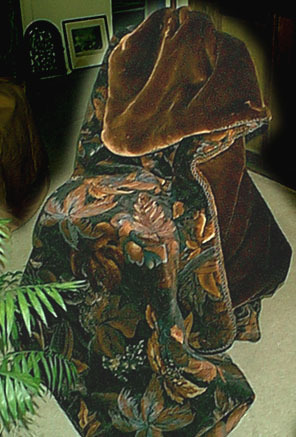 Perfect for the den, the Brown Foliage lap robe has an array of leaves in light and deep brown tones with touches of gray. It is lined with soft, brown sheared beaver faux fur. More photos of floral patterns and foliage designs are coming soon.